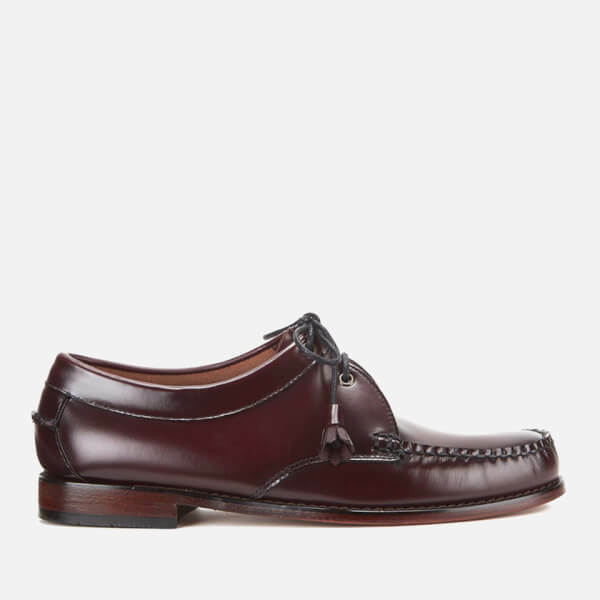 Men’s leather penny loafers from heritage American shoemakers Bass Weejuns. 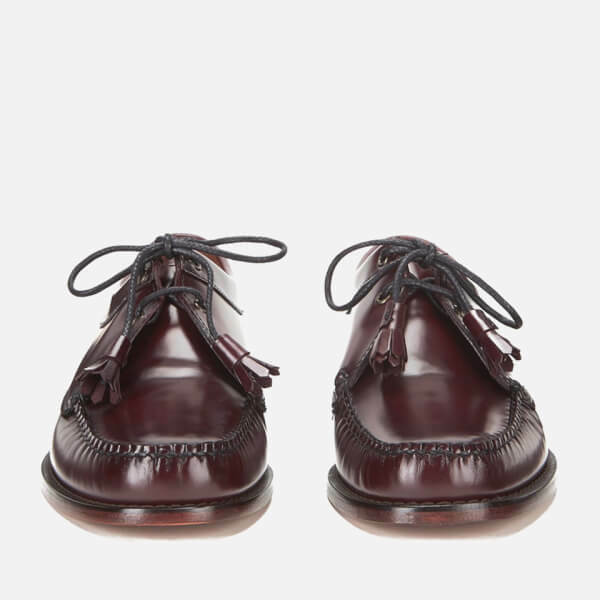 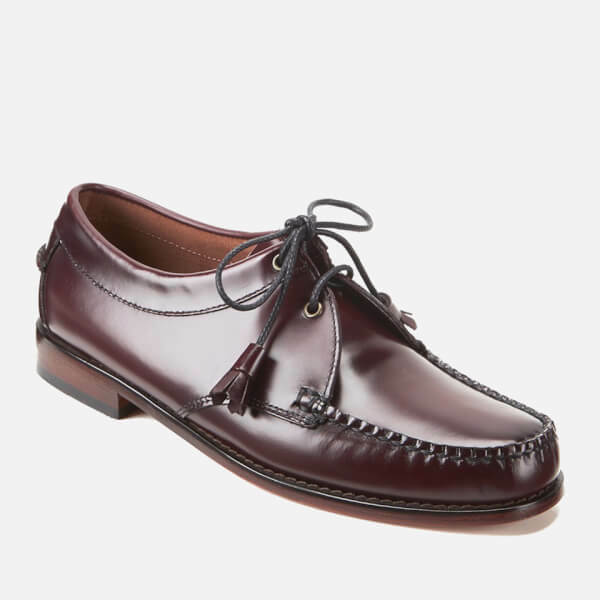 Hand-sewn and crafted from burgundy high-shine leather, the classic loafers feature a two eyelet laced closure with tassel-ended laces and a stitched moc toe silhouette. 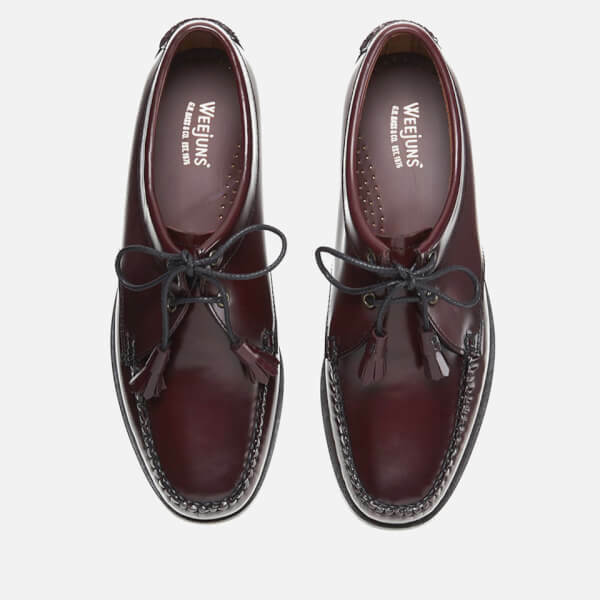 The men’s shoes are set on a stacked leather sole with a small rubber grip heel and are finished with a cushioned leather insole for comfort. 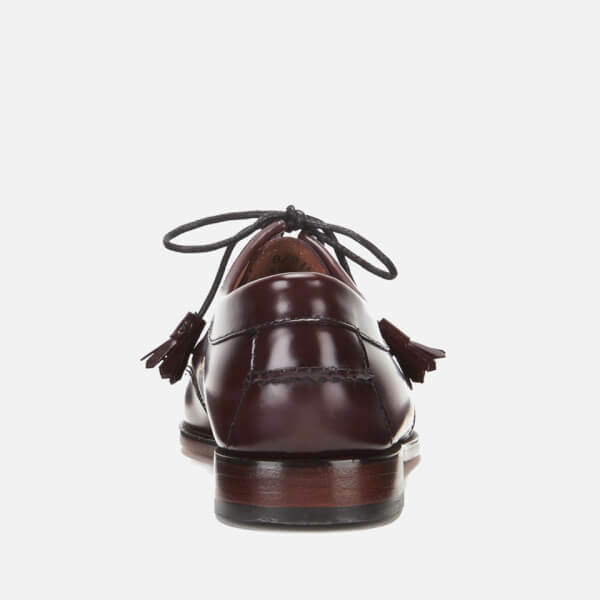 – A.D.